Are you a Kratom enthusiast? 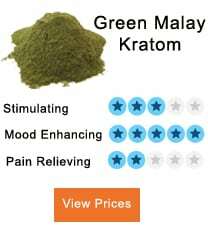 Are you looking for Kratom vendor? 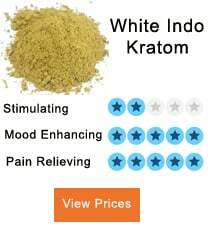 If yes, then worry not since in the following discussion we are going to look at 7ohm Kratom vendor review. 2 How can I do the ordering? 3.4 How is Shipping Done? 4 What is the Pricing? The organization is usually very busy and has notices and guidelines about processing and shipping of your luggage. After buying a product from 7ohm, the processing takes typically about 2 to 5 days while shipping takes 2 to three days. The whole essence of all these days is mainly to allow the organization to be able to accommodate new and special offers for faster processing if possible. For a better service, you also provide them with your notice, and they will surely meet your requirements. However, the notice should be reasonable and plenty enough to allow all processes to be executed. Given that the organization has in the past encountered problems related to processing and payment through a domestic payment processor, 7ohm is restructuring the problem so that things can just run smooth as expected by everyone. The first step in a move to enhance the entire system of the organization is coming up with a new website (7OHMLABS.COM) which is well customized to suit all the company’s services in the best way possible. With the new website, the product processing should take 1 to 2 days with BETA testing sale also to come. How can I do the ordering? 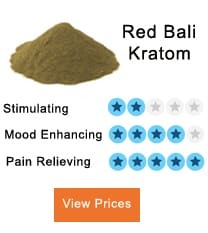 There usually are two ways in which you can place your kratom product order with 7ohm. Basically, this requires you to email your order to 7ohmorders@gmail.com. The company will then send you an invoice which is payable via PayPal, apple pay, debit, and bank transfer. You can also place an order through a phone call by dialing this number- 425-395-4479. When placing your orders ensure to include your name, order (Strain Name, quantity) and importantly the shipping address. A lovely product which is about 98.8 pure. Additionally, the product is known to be having cannabinoids traces including the CBN lab test which is usually available on 360 analytics under memes. The cost of this product is $25 per gram. It’s usually made from a leaf, and a 200x concentration cost $40. Other things that are included in the product include red elephant, EGMD, and super green. The red Maeng da from the MO’s leaf has 100x concentration and cost $25. A 1024mgs of the CBD full spectrum which is 55ml cost $80. Shipping is generally divided into categories which also determines the price that you will be charged for the shipping of your product. For first-class shipping, you will be charged $3 flat rate. For priority mail, you will be charged $6 flat rate. For the express option, you add $25. Therefore, provide your notice in time, and it will be processed as logistically as possible. Plenty of notes will streamline the entire process as your product is being shipped to you. There are usually offers for the product depending on the amount you and quantity that you want to purchase. For $20/100, you buy 3 of the products and get 1 free. Similarly, for $40/250 you buy 3 products and smile all the way home with 1 free. These offers are mostly given to people who purchase large quantities of the products. All the other existing members will get the product at their original price. 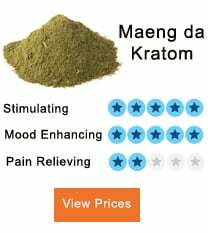 If you want to get but large numbers of the kratom products from 7ohm, you can email them at better prices. Moreover, 7ohm usually acquires its products from different countries across the globe. Let’s look at some of the major products and from where they are gotten. white Maeng da and green Sumatra. White puck and green elephant. Jong Kong – Plantation Green Md. Green Kapuas (balanced quickly) and RED SAMARINDA (high 7ohm.